CAB are represented in 29 of Scotland’s 32 local authority areas but not in North Ayrshire, South Ayrshire or Inverclyde. Therefore Scotland profiles are used for these areas, where appropriate. 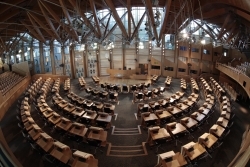 Image: Contains Scottish Parliamentary information licensed under the Open Scottish Parliament Licence v1.0.